I’ve been playing around with this box for about two weeks now, and I still haven’t been able max it out yet. I’ve got about two more looks I want to do with the products, but I only have one face. UGH. Why won’t Mr. Danger let me put makeup on him? 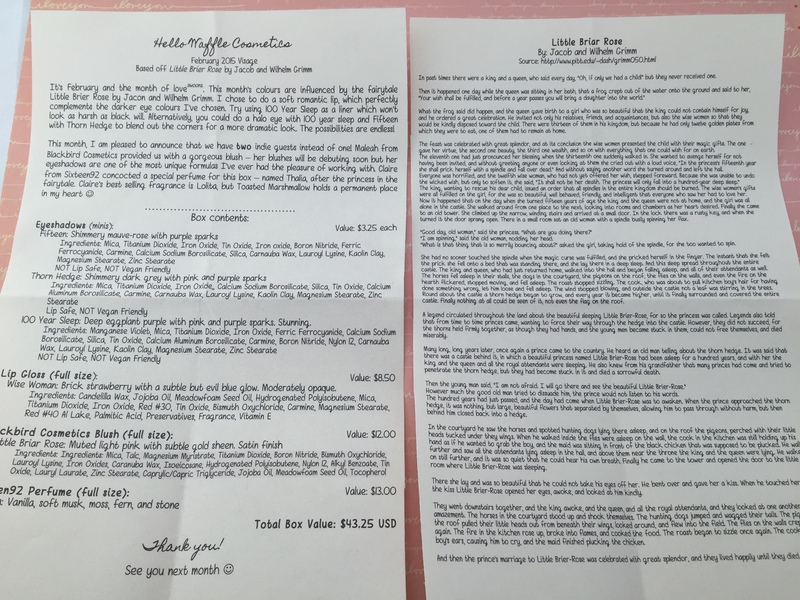 What I’m saying is it was another good month with Hello Waffle’s Visage box! Look how pretty it is! Perfect for February! The technical stuff: Visage is a monthly subscription that costs $25, with shipping. 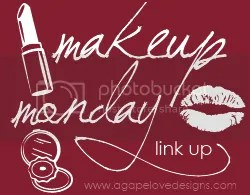 4-5 products for the entire face are included, usually with a guest indie company supplying one of the products. Each month has had a theme the products are based around, usually from a fairy tale or folk tale. Visage subscription slots open on the 29th of the month, however slots are very limited and there may not be any available unless someone cancels. You can also purchase individuals items from the Visage boxes on the Hello Waffle website, they are usually released near the end of the month. Then you open the present. It was quite the haul this month! The info sheet was 2 pages this month, one for the story and one for product information. I really appreciate these information sheets because I am a clueless person, and I like that the value is calculated. I’m all about that budget. Beautiful artwork on the labels this month. The theme was “Little Briar Rose”, which seems to be the original tale of Sleeping Beauty. 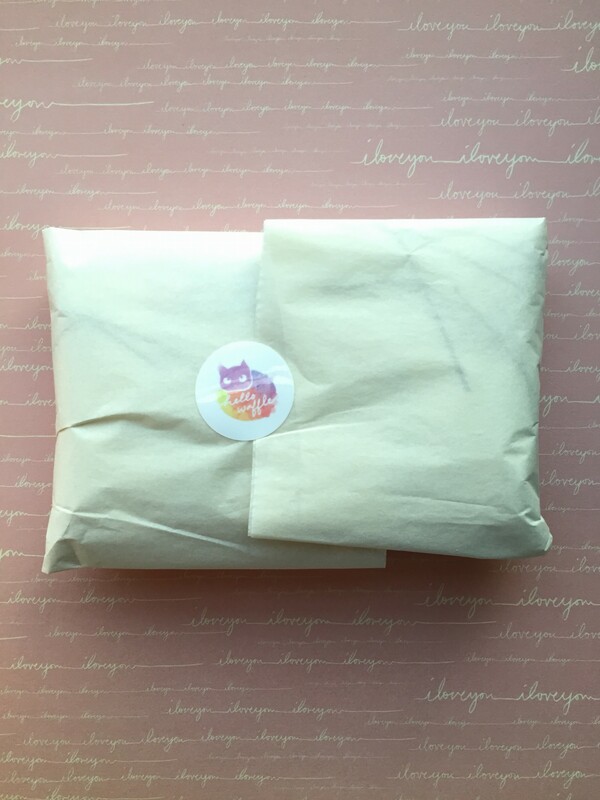 The romantic colors and theme were perfect for a February box. Now, I’ve got several pinks for Hello Waffle, but somehow she manages to make each one different. This is very pink on me, but soft and sparkly, so it doesn’t look too Barbie-ish. 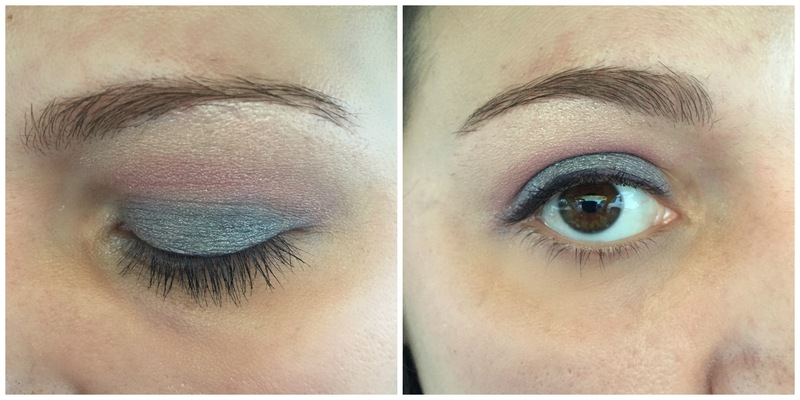 I’m loving it as a crease and lid color so far. 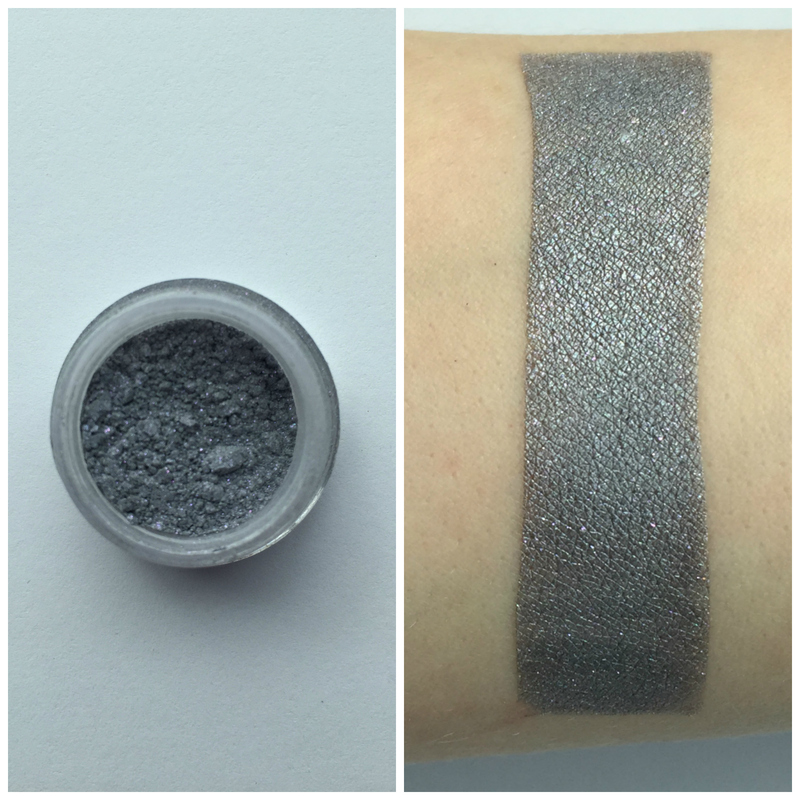 This is a deep grey, (which I think looks better on my eyes than lighter greys, so yay) and it’s very shimmery. With glitter primer, it almost starts to get a bit silver-purple on my eyes. 100 Year Sleep-Deep eggplant purple with pink and purple sparks. Stunning. This is truly a stunning color. I want to put it all over my face. Is that a look? Yes, I think is is. This is a deep, glowing purple. That’s the best way I can describe it. The pink and purple sparks make it really pop, and add so much depth to it. 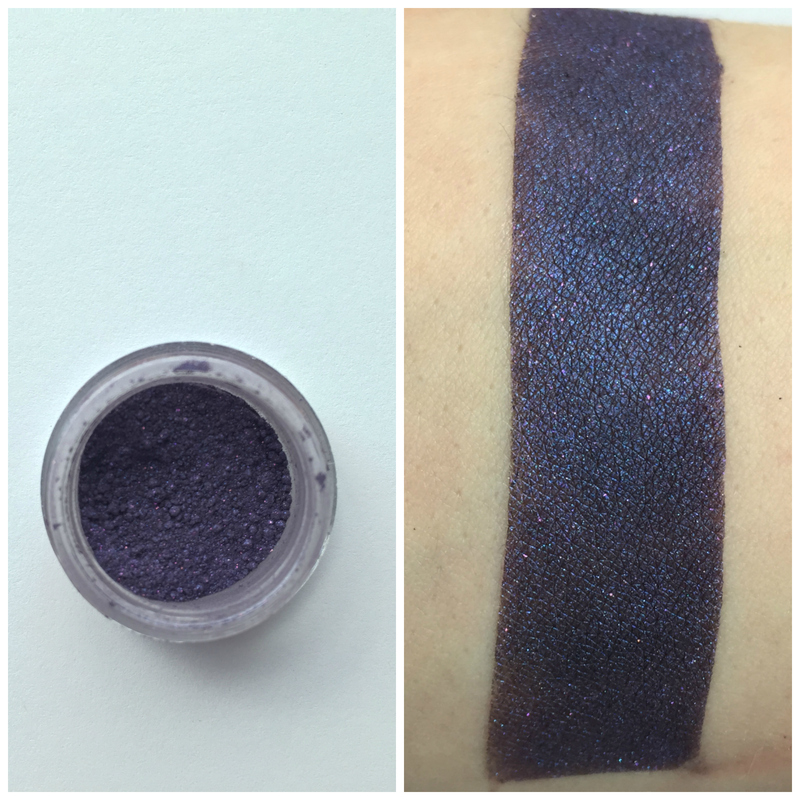 I’ve been foiling it as a gorgeous eyeliner and using it in the outer corner of my eyes, but I really want to use this on my lid soon. Wise Woman Lip Gloss- Brick strawberry with a subtle but evil blue glow. Moderately opaque. I’m sorry my lips are falling apart. This is a cry for help. This is a full size lip gloss, that’s pretty generous! 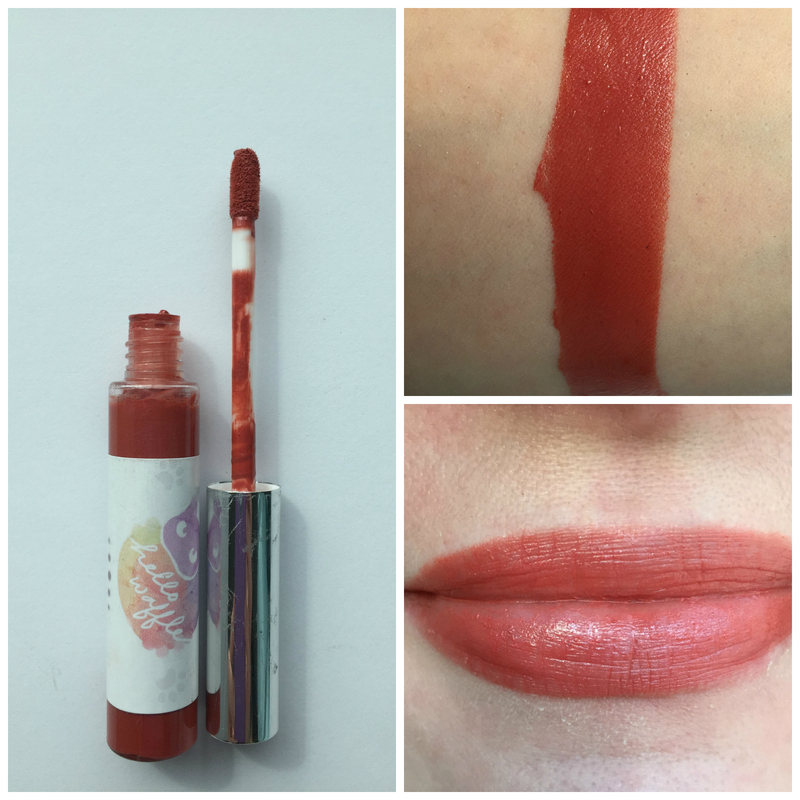 Wise Woman is my first Hello Waffle lip product to try and I really like it. It’s very lightweight and comfortable, and while it doesn’t last super long, (it comes off if you eat or drink), it’s easy to throw in my bag and apply on the go. I don’t get much of the blue glow, but this is a good work appropriate red, not too dark or dramatic. Also it smells so good! Like buttercream frosting! 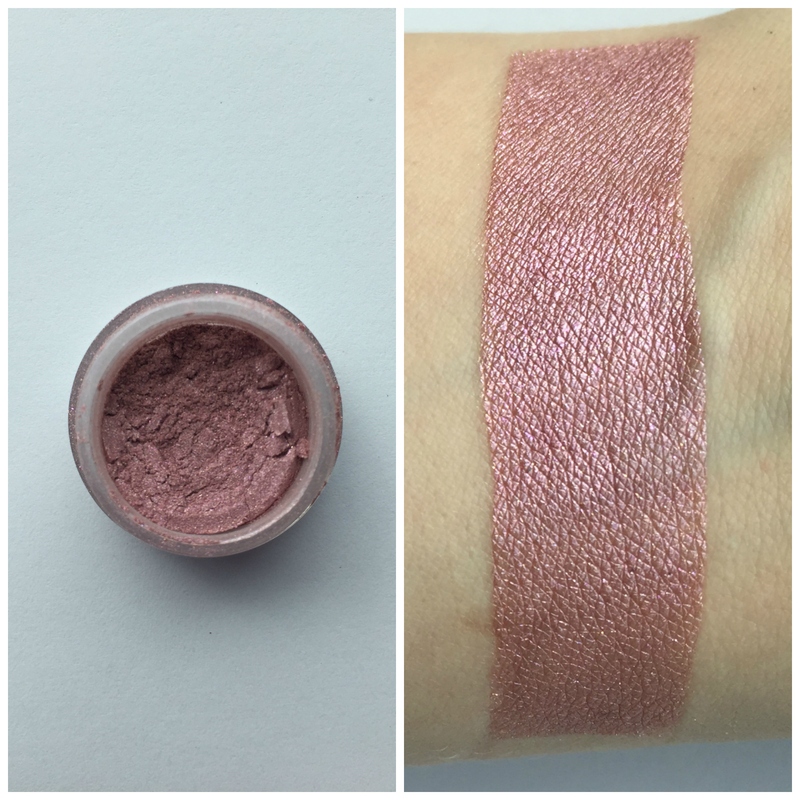 Blackbird Cosmetics Blush in Little Briar Rose- Muted light pink with subtle gold sheen. Satin finish. I LOVE this blush. This is bad news, friends. 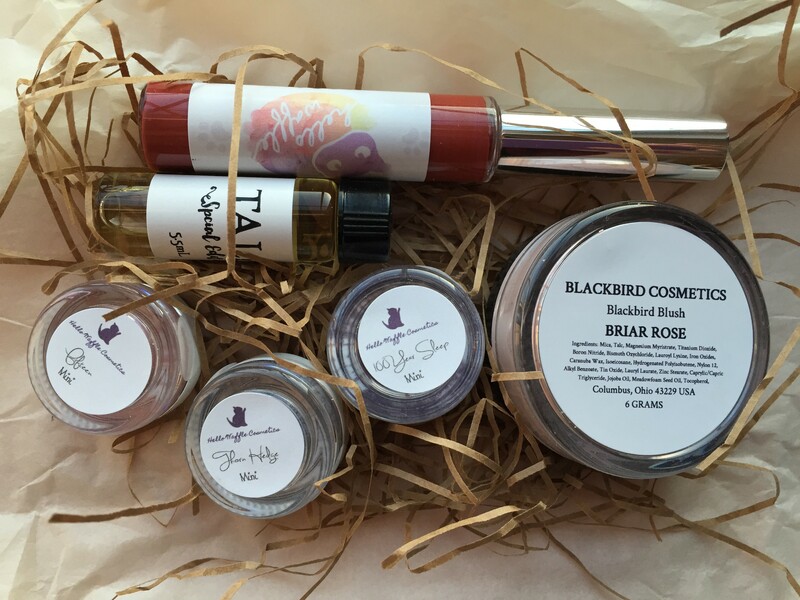 I don’t need anymore blush or eye shadow, but Blackbird Cosmetics-you will get my money! This is a silky, soft formula that’s very easy to blend, (when you don’t throw it over very wet primer, like I did in that top swatch, oops.) 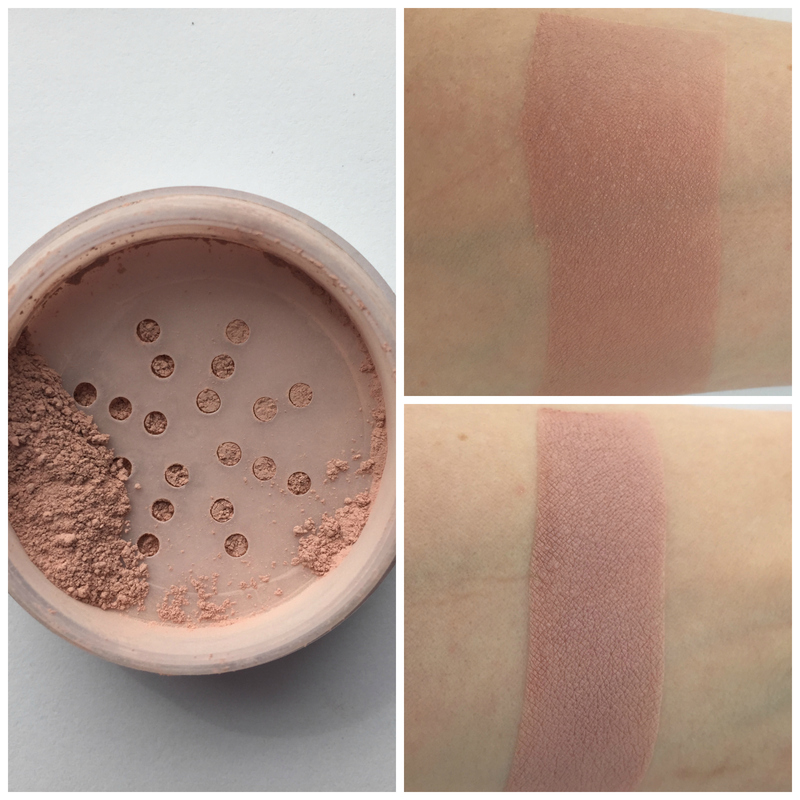 It’s a beautiful subtle pink color that you can build to get the right amount of pigmentation for your skin color. On my skin, it looks like a beautiful, natural flush. I’ve seriously never had a blush work so well with my skin color. AND this is a full size, so I can love it for quite awhile. I love Sixteen92 perfumes in concept. They are very well blended and smell great on my skin at first. However, with the exception of a few, (Salem, Wicked), they all kinda morph on me over time. And the morphing scent doesn’t always work in the long run. I think that’s just my skin chemistry, because like I said, they all start off smelling amazing, complex and deep. BOO skin. I’ll be getting a lot of use out of this scent throughout the Spring, and it’s another full size! So pumped about that! Then I tried Thorn Hedge on the lid, Fifteen in the crease, and 100 Year Sleep as liner. I still want to try a Halo eye with 100 Year Sleep and Fifteen. AND 100 Year Sleep on the lid-so I’ve got some more work to do! This is my favorite Visage Box so far. (I feel like I said this last month?) I would have never paired these three eye shadow colors together on my own, (because I’m colored impaired), but they work perfectly together. 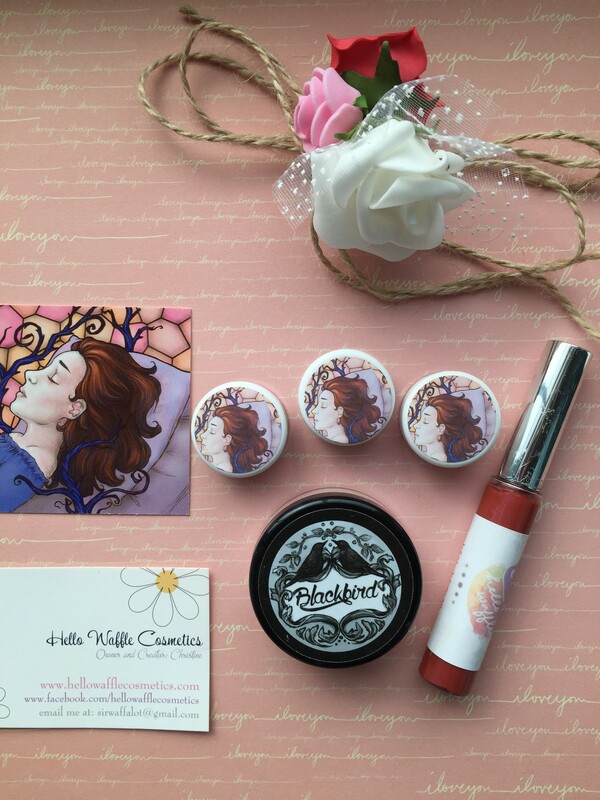 The full size blush and lip gloss are lovely, and Thalia is a gorgeous scent. So much love for Visage! Check out more of my Visage reviews here! 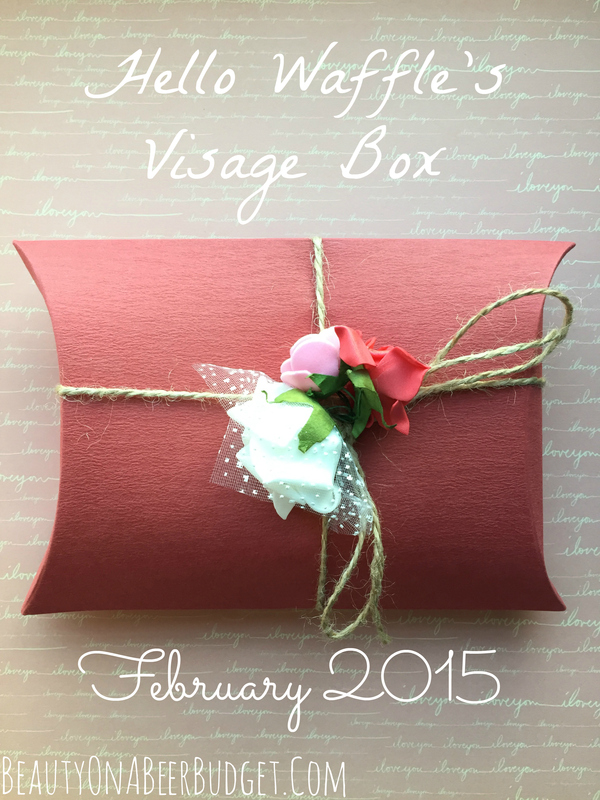 -What do you think of this month’s Visage box? 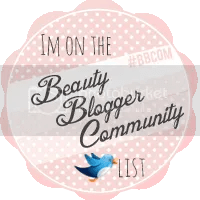 -Are you excited about Blackbird Cosmetics debuting blushes? I AM. Enjoy the rest of your weekend, friends! 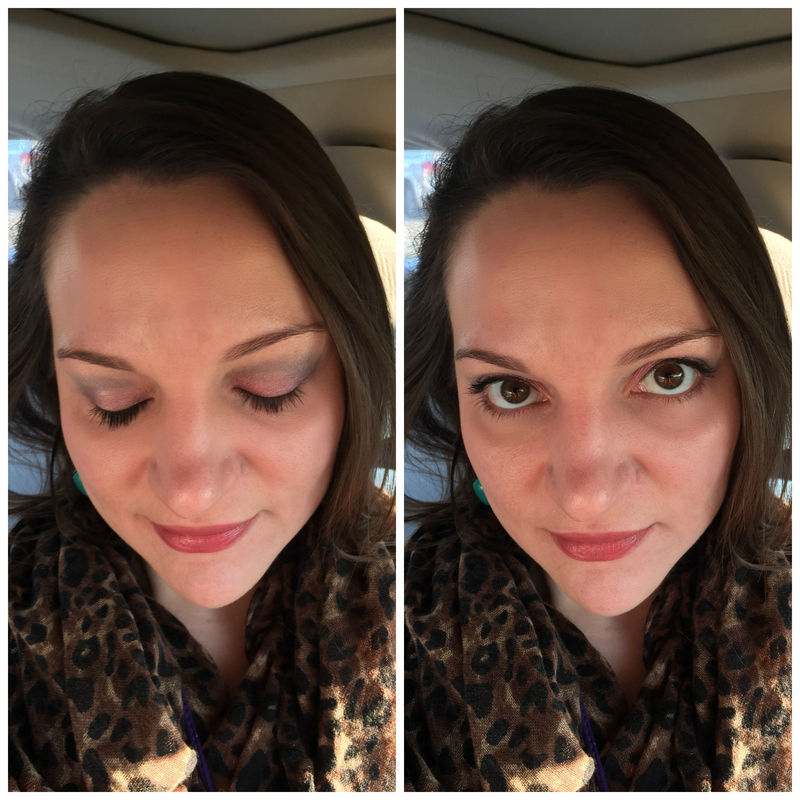 I really love the blush, I’m definitely going to have to check out Blackbird Cosmetics!